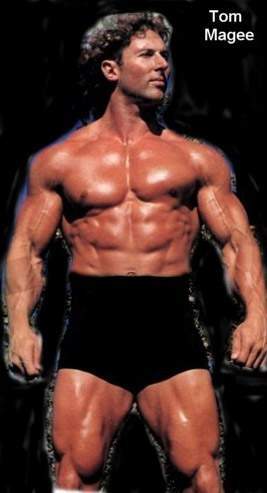 Tom Magee was well known in both martial arts & Olympic weightlifting but made a bigger impression in gymnastics..
1982: Tom Magee won both the Canadian & World power lifting championships in the super heavyweight division! 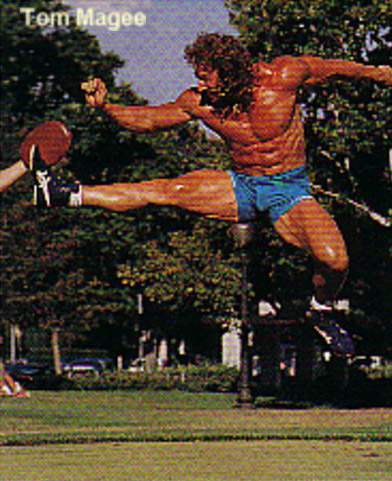 1984: Tom Magee won the Mr. British Columbia bodybuilding title..
Mid-to-late-80s: Tom Magee won 4 Louis Cyr world strongman contests as well as playing some football for the BC Lions..
1986: Tom Magee was named runner-up for Pro-Wrestling Illustrated Rookie of the Year..
Tom McGee started in Calgary and went to New Japan and had a brief run in the WWF (1987)..
~~~Tom McGee had a “dark match” with Bret Hart in Rochester NY which had people talking about McGee being the next Hulk Hogan! Tom McGee is a trainer at Golds Gym in Venice Beach..